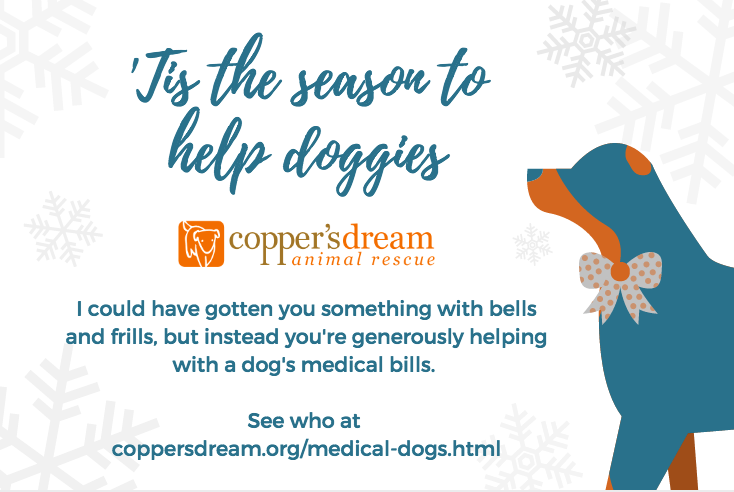 We'll honor your gift recipient in a notation on our Medical Dogs page and you'll get a digital copy of this certificate to print or send. Give the gift of naming a dog for someone special. You'll get a digital copy of this certificate to print or send. 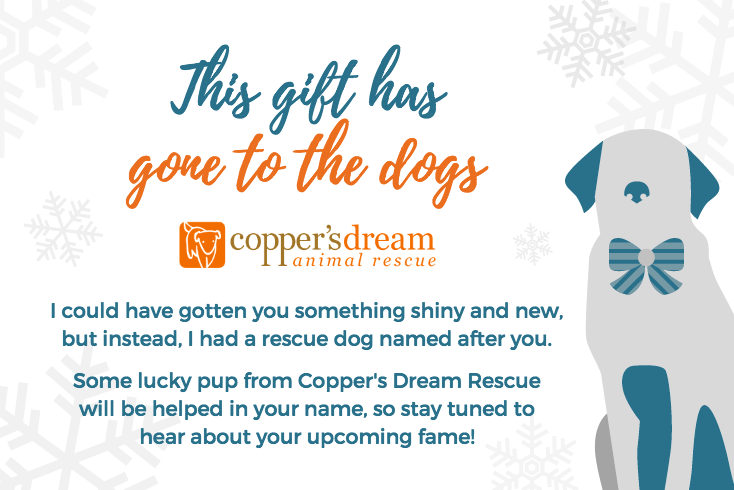 We'll follow up with your lucky gift recipient after the holidays to get their name request and let them know when their named dog is up on the website! For the Name-a-Dog Certificate, please include the email address of the recipient.